Outside of the common cold, head lice are the second most common communicable disease that school-aged children can contract. Identifying whether or not your child has a case of lice can be difficult. You don’t want to subject him or her to a lice treatment and removal if it’s not necessary. Consider having your child screened by a medical professional or lice technician to get an accurate diagnosis. The technicians at Lice Treatment Center® are available around-the-clock and can come to your location within a few hours. When determining a case of lice, you’ll need to look for three forms of the insect: nits, nymphs, and mature adults. Nits are lice eggs that get cemented to hair shafts somewhere within the first half inch from the scalp. They are extremely difficult to see and sometimes get mistaken for dandruff or residue from hair styling products. Nits can only be removed by sliding each one down the hair shaft between fingernails or with tweezers. If not removed, nits hatch into nymphs or baby lice in about a week. Nymphs look like smaller versions of adult lice (with six legs and no wings) and are reddish in color. It takes from nine to 12 days for nymphs to grow into adult lice – which, at full maturity, are about the size of sesame seeds. The color of mature lice is generally grayish-white, but they can sometimes look darker. Be aware that adult lice travel quickly, anywhere from two to 12 inches per minute. They don’t hop or fly, so they spread by crawling from head to head. Mature lice can live for 30 days on a head. If they don’t have a human host, however, the insects will die within one or two days. Only mature female lice lay eggs – up to about 125 eggs during a lifespan (or from four to 10 eggs per day). When attempting to check for head lice, use a bright light (direct sunlight is best) and a magnifying visor. Separate the individual’s hair into sections and begin by checking the crown of the head. Then check the nape of the neck and around the ears. Look for red scabs caused by scratching, actual nits, and lice that will be crawling through the hair or sucking blood on the scalp. If you find something that you think might be a lice egg or nit, try removing it with your fingers. If it comes off easily, it’s not likely a lice egg or nit. If you aren’t sure if you’re seeing lice, consider contacting the Lice Treatment Center® for help. Our LTC-trained technicians will come right to your location and give you an accurate diagnosis. We will also perform an on-site removal if that is needed. If you wish to tackle a light infestation on your own, then it’s important to act quickly using effective products, such as our home lice removal kit. 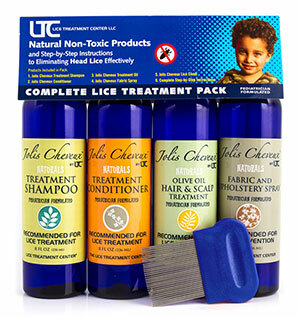 These products, branded Jolis Cheveux by LTC™, have been pediatrician-developed in-house with children in mind. Our removal and treatment products for hair lice do not contain toxic chemicals, such as DEET or pyrethrin, and provide an effective treatment. If you have questions while doing the head lice removal, contact us. We’re available around-the-clock to answer your questions and to provide hands-on assistance. 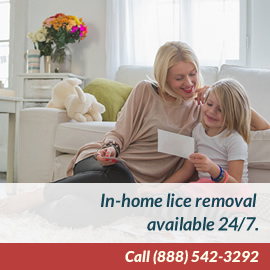 Call (888) LICE-AWAY or 888.542-3292. Click here to view all Jolis Cheveux by LTC™ products.